Steve Angrisano is one of the most effective and versatile ministry leaders in the Church today. People of all ages embrace the passionate message of faith woven throughout his music and storytelling. Always rooted in a spirit of humility and faithfulness, Steve’s ministry has grown out of who he is: a committed witness to the life and love of Jesus Christ. This makes him a popular choice for youth rallies, retreats, concerts, parish missions and faith formation workshops. Conference theme: Healing, Reconciliation, and Anointing. A Journey through James 5 ... that you may be healed. Steve Angrisano will be presenting a three night Parish Mission for the Holy Spirit Catholic Church community. He will also be speaking at several masses, acting as the guest bingo caller for the pizza dinner/bingo gathering, leading a school assembly and a lunchtime staff retreat. Please contact the event host for further details. Our Lady of Loretto Catholic Church welcomes Steve Angrisano. Steve will present a Saturday half-day retreat for CCD parents followed by a parish mission. For more information please contact the event host. Steve will be a speaker. Please contact event host for further details. More information regarding this event will be published here as it becomes available to OCP. Steve will lead the mission. Please contact event host for further details. More information regarding this event will be published here as it becomes available to OCP. Steve Angrisano will present a Lenten mission for the community of St Mary of the Assumption. Please contact the event host for further details. To find out more information about hosting an event at your church, school or diocese please contact the Music Outreach Team at OCP. Steve Angrisano will cover several keynotes for the high school and middle school participants, as well as music for the event. Please contact the event host for further details. This event is not open to the public. 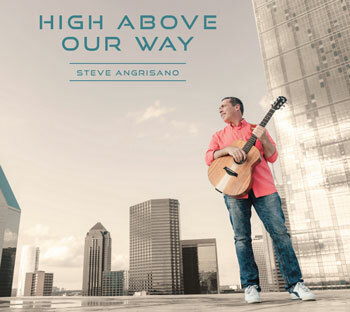 The High Above Our Way CD contains nine songs from veteran composer Steve Angrisano—each offering beautiful melodies, challenging lyrics and a taste of his deep commitment to a life of faith and love. 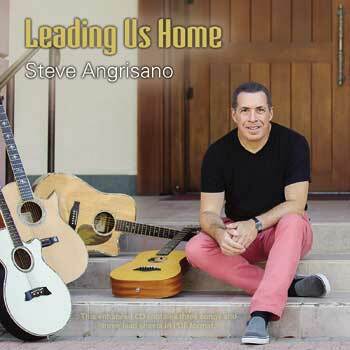 Steve Angrisano is one of spiritandsong.com's most successful artists at not only reaching youth and young adults, but the wider Church as a whole. Born out of doing more than 100 events per year, Steve's preaching and message from those events are the underpinnings for the songs found on Inescapable Love. His most collaborative album yet -- featuring songs co-written by Sarah Hart, Marc Byrd, Audrey Assad and Dwight Liles -- Steve delivers a wide array of songs sure to become liturgical and praise and worship classics... as well as a couple of surprises. Elements of bluegrass really come through with fiddle and dobro (yes, dobro) making appearances on an album that pays subtle homage to Steve's Southern roots. Comprised of 11 diverse originals and a cover fans will instantly recognize from his live shows, Inescapable Love builds upon Steve's ability to capture the profound, common experiences that we all struggle to put into words. "One Step Away" reminds teens that no matter how far they may feel from God, they truly are just one step away. The down-home country feel of "Plow Your Row" features a beautiful duet with newcomer Audrey Assad. "Living God" -- with its old school 70s rock guitars -- takes you by surprise with a couple of head-banging moments. In his cover of Jared Anderson's "Amazed By You," you can't help but imagine Steve smiling as he sings "Lord, I'm amazed by you. How you love me." While best known for his contemporary songs of praise, Steve is also committed to providing the Church with inspiring and valuable liturgical pieces. That commitment is wholly evident in "Many and One" and "We Remember, We Believe," two unforgettable Eucharistic songs. Inescapable Love typifies the totality of Steve's ministry, preaching hope and the closeness of God in our lives. The Angrisano experience -- on CD for the first time! 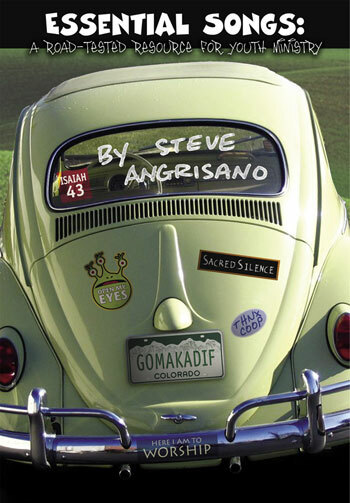 A true road warrior, Steve Angrisano travels most of the year, bringing his exhilarating ministry to parishes and youth groups from coast to coast. His events change lives: minds open, tears flow, hearts are set on fire for Christ. Now for the first time, the Angrisano experience is available on CD! Recorded in concert, Live: Songs from the Road is as close to the real thing as you can get. The disc contains 14 classic songs by a variety of big-time contemporary Christian artists -- Steve's most-requested songs from over the years. Following his standard concert outline, the music moves from riveting warm-ups to more meditative "transition" songs. Steve then brings the audience into a time of prayer and encounter. He closes on a high-note with sending-forth favorites like "Go Make a Difference." Live includes all the best elements of an Angrisano event: terrific music, Steve's trademark humor, banter and storytelling between songs, heartfelt prayer, and the enthusiastic participation of his fired-up audience. It's just like being there! The CD is a companion to Essential Songs: A Road-Tested Resource for Youth Ministry, which gives you music in a text-and-melody format for all 14 of these songs (and 23 others), as well as Steve's expert advice for using them in youth ministry settings. As countless people can attest, God works in amazing ways through Steve and his music. For those who've never experienced an Angrisano event, Live: Songs from the Road is a great introduction. For those who have, it's a great way of recapturing and re-living that grace-filled moment. 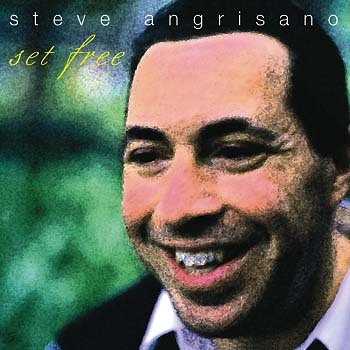 Vibrant, prayerful and lush, Set Free is more acoustic than Steve's previous collections, arranged with the simple instrumentation of church ensembles in mind. Seven of the 13 songs were composed for use in prayer and liturgy. That doesn't mean the music holds back. The title track is a jamming pop-rock song celebrating the "God who truly sets us free from the chains that bind us." Both "Sweet Redeemer," co-written with Sarah Hart, and "Keep our Eyes on Jesus," a soulful gospel piece, will get hands clapping. One highlight is "Daniel's Heart," which shows how the suffering and courage of three Daniels -- the young man from Steve's parish who died in the Columbine shooting, an infant named after him who had open heart surgery, and the biblical Daniel -- united and inspired the communities around them. Steve says this touching song is the best he's ever written. 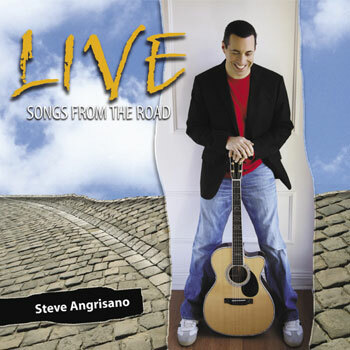 Steve Angrisano is one of the best contemporary songwriters around, and his fourth album only adds to the evidence. These 11 songs have already become staples for contemporary liturgies, prayer services, youth group events -- and young people with headphones -- everywhere. Highlights include three new psalm settings, including "Taste and See," Steve's prayerful, singable, already popular new setting of Psalm 34. "Let Us Go Rejoicing" (Ps 122) is an excellent contemporary setting of this common psalm for Ordinary Time and church dedications and anniversaries. Live It! fans will recognize "Mighty King," Steve's catchy pop-rock hit from that two-CD compilation. Asking "Why spend your wages for what fails to satisfy?," "Table of Life" is an inspiring Communion song and Steve's invitation to quench our thirst with Christ's life-giving water. 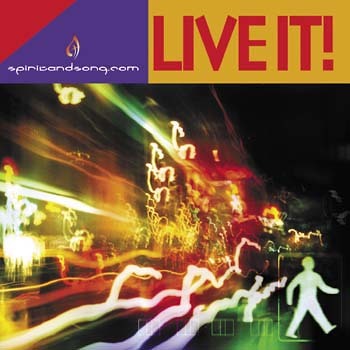 Several songs from this collection were selected to be included in Spirit & Song 2. 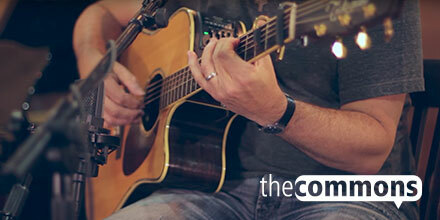 Steve's superbly crafted songs welcome us to discover God's kingdom in our everyday lives. "Even in the rush and crush, the thunder of this world," he sings in "Follow Me," the exhilarating opening track, "there's a gentle whisper in my heart saying, 'I am your God, there is no other. Follow me!'" Offering a delectable array of guitar-, mandolin- and Hammond organ-spiced praise and worship tracks, Welcome Home helps us hear that gentle whisper and find our way back to God's embrace. 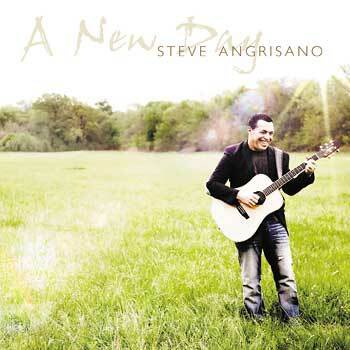 Inspired by the Holy Spirit and arranged to follow the ancient tradition of the Liturgy of the Hours, A New Day showcases Steve Angrisano's profound ability to bring us to a deeper understanding of our everyday encounters with Christ—through 9 soul-stirring songs—from dawn till dusk. Building around Steve's signature acoustic guitar, a driving percussion layered banjo, ukulele and mandolin, perpetuate a soulful and organic 'Americana' sound—akin to the band, Mumford and Sons. Produced by Mark Byrd and Steve Hindalong (writers of "God of Wonders" by Third Day), listeners will delight in collaborations from today's contemporary Catholic music icons: Sarah Hart, Jesse Manibusan and Curtis Stephen. 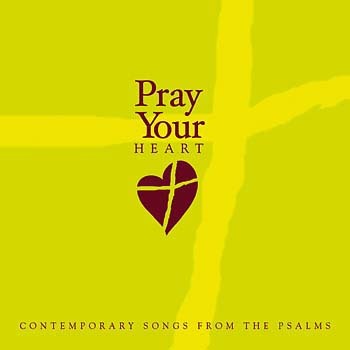 Filling a liturgical need for contemporary entrance and sending forth songs, both "May Your Kingdom Comeö and "A Rightful Place"—the record's break-out single—are blessings to any Liturgy or service. "10,000 Reasons," a cover of the popular Matt Redmond title, carries Steve's familiar warmth and style while "Alleluia, Love Is Alive," captures the spirit of Easter proclaiming the Good News of our salvation with a 'joyful shout'—just as the Gospel proclaims. While appropriate for eucharistic liturgy and prayer services, A New Day also offers listeners unique inspiration for daily prayer—making it a welcome addition for personal listening and devotion. From "Benedictus" at sunrise to "Magnificat" at sunset these 9 songs bring new focus and reflection to God's daily presence in our lives. Instructional videos—including suggested use, up-close demonstrations and live performances! 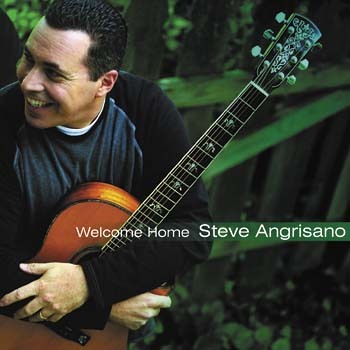 Discover inspiring and beautiful music from Steve Angrisano, one of today’s most-loved Catholic songwriters. Leading Us Home features three new songs as well as lead sheets in PDF format for each song and is only available for a limited time. An upbeat song about community, "Love Is What We Need" calls us to come together as a family of believers and be united in the love of God. For "I Am the Bread of Life," a thoughtful song for liturgy about God and all he is in our lives, Steve teamed up with contemporary music veteran Tom Booth on the songwriting and the vocals. For the second refrain, their voices weave the two melodies together flawlessly. Calling us to live as disciples of Christ, "Leading Us Home" begins with simple lyrics of surrender: "You are the potter, we are the clay." That message is carried throughout the remainder of the song and supported beautifully by the cello and acoustic guitar. Purchase of the CD includes lead sheets in PDF format as well as access to bonus videos, photos and more! This guitar songbook contains guitar/vocal lead sheets for the nine songs in Steve Angrisano's High Above Our Way collection. Inspired by the Holy Spirit and arranged to follow the ancient tradition of the Liturgy of the Hours, A New Day showcases Steve Angrisano's profound ability to bring us to a deeper understanding of our everyday encounters with Christ—through 9 soul-stirring songsùfrom dawn till dusk. Instructional videosùincluding suggested use, up-close demonstrations and live performances! The High Above Our Way MP3 album contains nine songs from veteran composer Steve Angrisano—each offering beautiful melodies, challenging lyrics and a taste of his deep commitment to a life of faith and love. 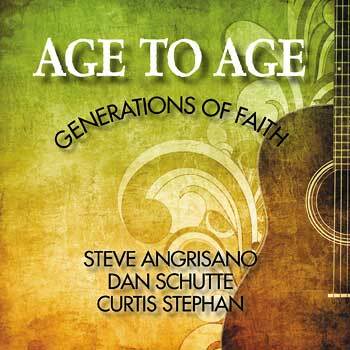 Discover inspiring music for liturgy with this enhanced CD from Steve Angrisano, one of today's most-loved Catholic songwriters. Leading Us Home features three new songs as well as lead sheets in PDF format for each song and is only available for a limited time. For "I Am the Bread of Life," a thoughtful song about God and all he is in our lives, Steve teamed up with contemporary music veteran Tom Booth on the songwriting and the vocals. For the second refrain, their voices weave the two melodies together flawlessly. Steve Angrisano is one of the most effective and versatile ministry leaders in the Church today. People of all ages embrace the passionate message of faith woven throughout his music and storytelling. 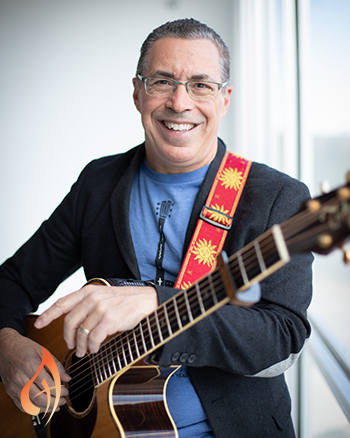 A veteran musician, composer and youth minister, he’s performed at seven World Youth Days (Panama 2019, being his latest WYD), the National Catholic Youth Conference (NCYC), and many other national and international events. 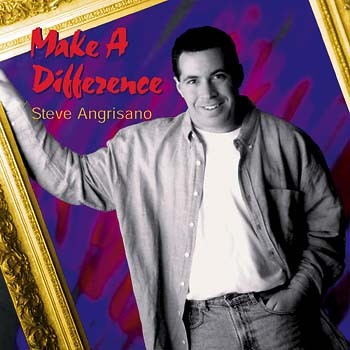 Steve burst onto the contemporary Catholic music scene in 1998 with Make a Difference, his first album. 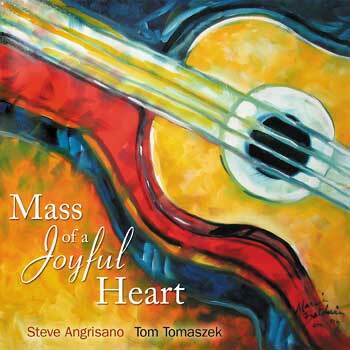 Co-written with Tom Tomaszek, the collection features the iconic “Go, Make a Difference” and the popular Mass of a Joyful Heart. More than seven collections later, including Welcome Home and A New Day, Steve shows no signs of slowing down. In 2007 he released Live: Songs from the Road, a spine-tingling live-performance CD, and a companion songbook/guide titled Essential Songs: A Road-Tested Resource for Youth Ministry. Many of his songs have entered the mainstream worship repertoire, including “Psalm 63: My Soul Is Thirsting,” “Emmanuel,” and “Sweet Redeemer.” His most recent collection is High Above Our Way, offering nine songs for liturgy, prayer and inspiration, including a handful of songs co-written with fellow Catholic composer Curtis Stephan. A long-time resident of the Denver, Colorado area, Steve and his family now call Coppell, Texas home.